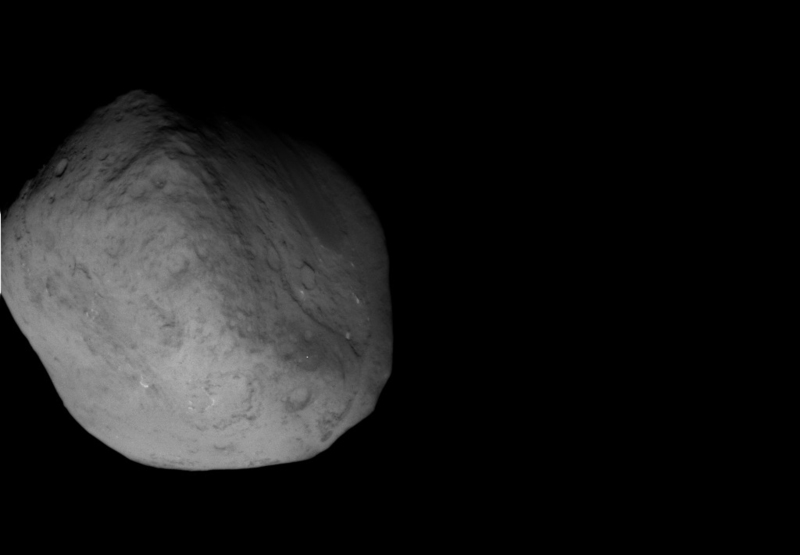 A NASA spacecraft, a lonely comet and a Valentine’s date with no comparison. Last night, NASA’s veteran Stardust-NExT mission successfully visited its second comet, Tempel 1. Having already been visited by NASA’s Deep Impact mission in 2005, it’s hard not to wonder whether Tempel 1 was a little apprehensive. Deep Impact did lob a refrigerator-sized copper impactor into the comet’s surface during the 2005 encounter, so I think we can forgive the comet some pre-date jitters. Alas, although the date was a success, there won’t be the sound of wedding bells any time soon. Stardust is now powering away from the comet at a breakneck speed. Was it something Tempel 1 said? Oh yes, and I got bored, so I created a rough animation of the flyby. Enjoy! Yesterday, NASA announced exciting news about a discovery made by a NASA mission that did a cosmic dance with comet Wild 2 back in 2004. The Stardust mission managed to scoop an amino acid called glycine from the comets dusty tail, thereby proving it’s not just asteroids that contain this critical ingredient for life. “It’s not a particularly unexpected discovery that glycine is in a comet — we’ve found amino acids in meteorites before — but it does show that comets are another way that amino acids could have come to Earth,” lead researcher Jamie Elsila, with NASA’s Goddard Space Flight Center, told Irene Klotz from Discovery News. Elsila and colleagues are responsible for developing a technique to extract and study the deposits of glycine from the aluminium foil that lined the probe’s collection plates. They confirmed the glycine was in fact of extraterrestrial origin (rather than contamination here on Earth), as the carbon atoms in the glycine molecules had an extra neutron in the nucleus. This means the glycine was formed in space. “We see in this comet that amino acids were forming at the earliest time in our solar system,” Mike Zolensky, a comet dust researcher from NASA’s Johnson Space Center in Houston, said. Zolensky suspects that heat from the radioactive decay of short-lived particles melted a piece of comet ice laced with organic compounds and water. This may have allowed the cosmic amino acid to form.